I ju st completed two technical courses with Andy, including full trimix. Andy has a great eye for detail and that has helped me massively with my trim and efficiency. He’s also very focused and ensuring you understand the rationale behind choosing certain dive profiles and the most effective gradient factors to achieve a mission. Rigorous, personalised and ultimately very rewarding. Solid course delivery! I have fond memories of Tec SM with Andy Davis. Many lessons learnt that serve me well even when I am on backmount or CCR. I had the opportunity to do two weeks worth of clinic work with Andy Davis in late April. Andy is simply the best scuba instructor I have ever worked with to improve my diving, and I was delighted by the progress I made. Andy is the best scuba instructor I have ever worked with to improve my diving. He tailored the program to my preferences and desires. He broke me of ingrained bad habits. If you want high-quality training with high performance standards to meet in sidemount, wreck or technical diving, I can highly recommend Andy. I will be going back to Andy for a technical diving course. 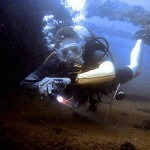 If you’re looking for top-rate sidemount, technical or wreck training, give Andy a look. You won’t regret it! 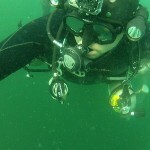 I chose to go to Subic Bay specifically to do my Wreck Training and found Scubatech online. After a few emails with Andy I was confident that I found an instructor who knew what he was talking about in regards to the specific area of training I was looking for, which was wreck diving. After diving with Andy over an 8 day period I found his instruction to be well beyond the minimum standards most agencies provide. 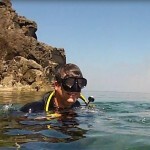 He is very much orientated to making you a safer, more responsible, and better educated diver. If your looking for solid training, and are serious about improving your skills rather than collecting plastic certification cards I recommend Andy’s instruction. I found the wreck training I completed to be well beyond my expectations, challenging, and comprehensive in content. Importantly Andy is very safe and will make sure that you are working within experience and training limitations. “I just want to say thank u so much again, it was one of the best training programs I have ever attended, not only in diving but in general, I do appreciate it and I believe it may change the way I do things in my life, thank u so much. U’re an excellent trainer”. 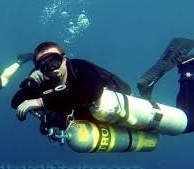 I worked with Andy over a two week period to earn my Tec Sidemount, Tec 40 and Tec 45 certifications. What made this instruction so great is that Andy worked within my schedule and the locations I was staying. I had a week available for training in Anilao, a week off to fun dive in Cebu and then a week available for training in Subic. When I presented this travel schedule to Andy, he had no problems accommodating my schedule. I felt the training in Anilao was the best I have ever had. The ability to have your instructor available full time without distraction can not be underestimated. Completing the training is only the starting point to becoming an experienced Technical diver, but I am confident that the training, skills and knowledge I received from Andy allows me to start gaining this experience with more than just “book” smarts. Andy’s extensive dive experience and knowledge is the part of the class that can not be published in any training manual. I will be taking more classes from Andy in the future. I encourage any diver that wants world class technical training or simply wants to be a better diver contact Andy. He can put together a class or clinic that works for YOU and the focus will be on YOU. You just can’t get a better deal than that. 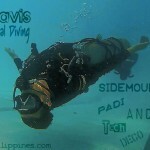 I had a two and half days PADI Tec Sidemount course in Subic Bay with Andy. We carefully planned it in advance and all went great. The visibility underwater wasn’t that good in February but I had a good opportunity to see some WWII ship wrecks of which this Bay is famous. Andy is very much focusing to the training and won’t compromise the quality with the other aspects. I enjoy very much my training and I am already planning to take other courses with him. 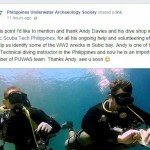 I can endorse Andy Davis with Scuba Tech Philippines. My 14 year old son and I completed a “Pre-Tech” foundation clinic in December 2012. This clinic was great because it introduced a technical mindset and precision in our recreational diving. Looking at photos from diving in the Florida Keys. 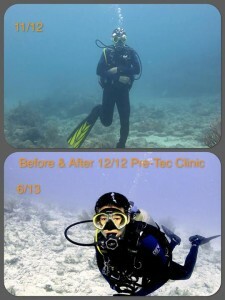 The benefits of Derek taking the Pre-Tec Clinic in December 2012 are very noticeable. I recommend this clinic for every recreational diver looking to improve their diving. Having been taught by Andy was a real good and interesting experience. We became friends over time online and through mutual friends and when I was looking for my side mount certification in August 2012 my choice was simple and easy and I’ve never looked back, so to say! The knowledge of Andy and the delivery are phenomenal, he takes you through all course steps calmly and it all becomes easy. He’s patient and he knows all the wrecks in Subic Bay inside out. Andy went the extra mile, for real. Being a highly educated recreational dive professional myself, I found it refreshing to sit in the ‘school banks’ again with such an outstanding instructor! I’m looking forward to more diving and courses with Andy! Me and a friend took the PADI open water with Andy @ Scuba Tech in early October and it turned out great very much thanks to Andy. To start with we where a bit short on time, both me and my friend had a set date when it would be very good if the course was complete. Andy was very flexible, and was also open for a backup plan in case it would not work out. At the same time you could feel that he really wanted you to learn the stuff and keeping you safe, I’m definitely sure you will be a safe diver after a course with Andy. I would recommend scuba tech for anyone that want to dive with a very experienced diver that take it seriously even if you are just doing the beginners course. Note: I waited with this review until I had made a real dive so I knew how the contents of the course translated into real use. Now after I made a dive I can say that yes, you get a very good training with Andy. 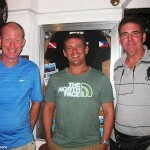 I spent four days diving with Andy Davis from Scuba Tech Philippines in July of 2011. I took my AOW and some specialty course and enjoyed every minute of it. 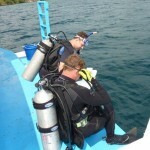 Andy made the courses enjoyable, fun, and added to the courses with his vast knowledge of technical diving skills. I learned a lot and became a better dive in the small amount of time I was there. 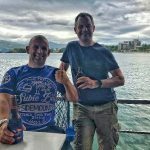 I also recommend Subic Bay as a great dive destination with some awesome wrecks to explore and of course Andy will show you the best they have to offer as he knows the dive sites like the back of his hand. 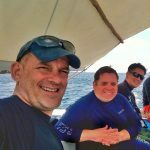 So if your in the Philippines and looking to take a course or just want to have fun diving with a professional who can help you with any aspects of your diving. I would look up Scuba Tech Philippines for your next diving adventures. 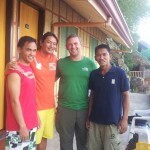 I highly recommend you contact Andy (Scuba Tech Philippines) if you’re considering diving in Subic Bay. I was there in June and the whole trip was such a great experience. I took three courses, most notably the Wreck Diver course, and was very happy with all of them. Words simply can’t describe the feeling you get when swimming through the USS New York or El Capitan for the first time. Andy also helped me with my buoyancy, trim, and gave me lots of other tips to improve my diving. Typing this up on the plane – I’m coming back from a trip to the Philippines where I passed my PADI Open Water cert with Andy Davis. So how was it? Well quite simply the last 15 days rank up as one of my best holidays, and it’s during the diving that I probably saw some of the best sights, if not the best sights I had the chance to enjoy in my travels so far (and I do travel a lot). I can’t even begin to describe the eerie feeling when the bow of the El Capitan or the guns from the USS New York slowly appeared out of the darkness, their silhouettes drawing themselves in front of me. As for the interiors – cathedrals of rusty steel bathing in glowing green light. There are no words! Having never done scuba diving before, I was slightly anxious as I imagine many beginners are. I was lucky enough to have Andy teach me one-on-one and he put me at ease immediately. I particularly appreciated his emphasis on safety. Indeed, before, during and after the dives I again found that safety formed the cornerstone of his teachings. Now, I may not know a scooby about diving but I do know a thing or two about teaching, having led IT courses for a good 3 years in a previous life. For that reason, I’m usually very critical and picky while on a course myself. However here I cannot find anything to fault Andy with. It was a pleasant experience from the first day of theory all the way to the last dive of day 4. Every day felt interesting and at no time did I feel pressured into anything I wasn’t comfortable with. It didn’t feel like ‘work’ either – Andy knows how to proactively pre-empt theory boredom by integrating practical elements at regular intervals during the course. I also liked on how Andy focused a lot on buoyancy control – his goal is clearly to instil ‘best practices’ in newbies like me rather than just churn out course after course just for the sake of money. I feel this approach paid off and on my 8th dive (we did some extra dives on the Friday), I felt comfortable exploring my third wreck, the LST! Now I know there’s quite a bit of controversy regarding the value of PADI. Honestly I think it’s just common sense – considering the potential risk of this activity it is obvious that 4 or 5 dives just aren’t going to cut the mustard long term and that regular practice and skills training are required to constantly reinforce one’s knowledge and stay safe. Andy made that clear (even if he didn’t have to) and I’m comfortable with this as the course helped me get started and receive structured training – just what I was after. All and I all my feeling is that I was really ‘spoiled’ as a beginner. My graduation dive was on El Capitan and I got the chance to do the USS New York twice the day after that as part of a custom course. The sights were simply spectacular. Add 31c water, sunshine and a cost that’s literally a fraction of what one would need to pay to learn in a boring London pool – and you have a very happy customer going home with a head full of wonderful memories. So to sum up, I can highly, highly recommend Andy and Scuba Tech! One of my best wreck diving experiences was with Andy. Very thorough and detailed during briefings, he’s able to give me and co-divers a calming effect prior deep diving the low viz, multi chambered wrecks of Subic. Cant wait to dive with him again… and I just love his photos, bella. I took a wreck and nitrox course with Andy a while back. He runs a very thorough course with a lot more content added to give actual meat to the basic outline. From line-laying skills, to no-mask drills and handling slung bottles in and around some of the best wrecks this side of town – this is what you could call value+.